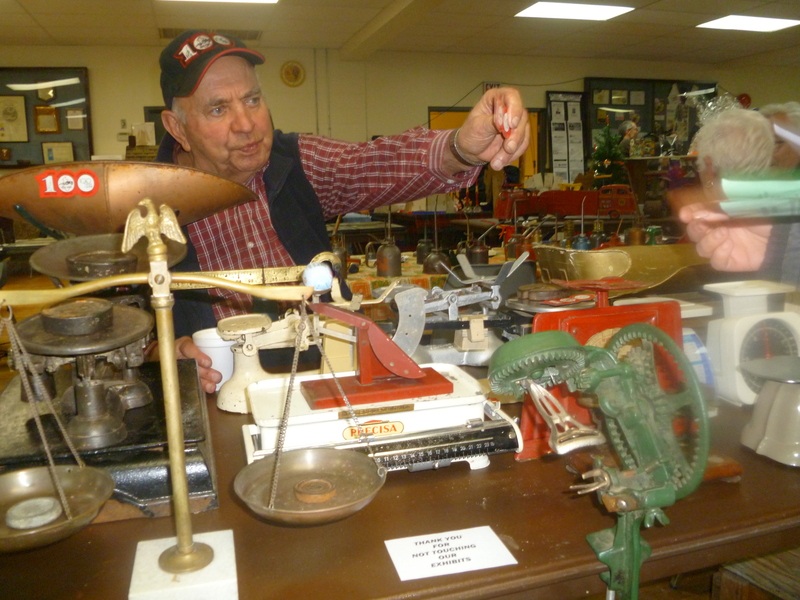 Bill Osborn, from Mitchell, shares his collection of scales. 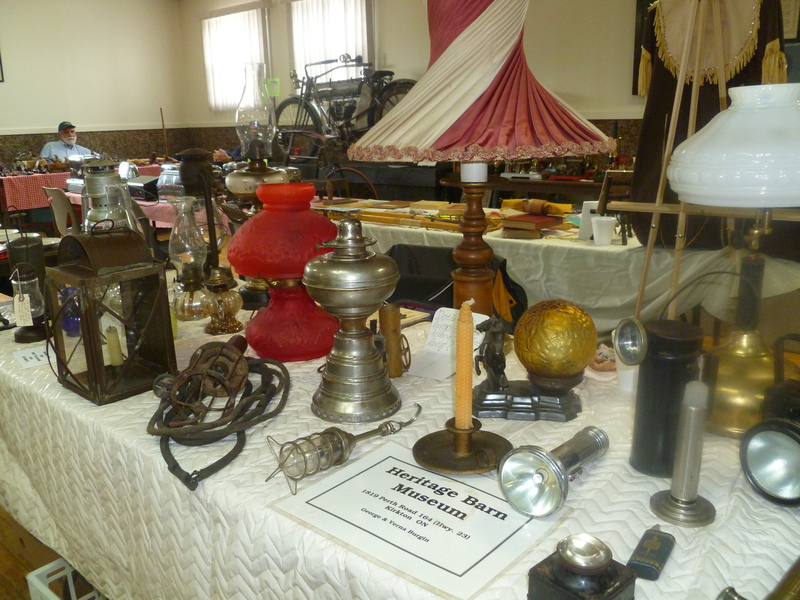 The 13th Annual Bayfield Historical Society Collector Exhibition was held this past weekend at the Bayfield Arena. The show included 33 “Taste of Huron” packages sold at the live auction on Saturday as well as a Silent Auction that ran throughout the two-day event and included over 160 packages. New exhibits this year included a sizeable collection of memorabilia from the Huron County Museum re: The Great Storm (this is the first event in the year-long schedule of activities commemorating the extra-ordinary storm that hit the Great Lakes in November 1913); and, Tim Wellstead and Jodi Jerome who are, as we reach the 100th anniversary of the start of the great war, researching stories to share of Huron’s WWI battalion soldiers for The Huron 161st Battalion Project. 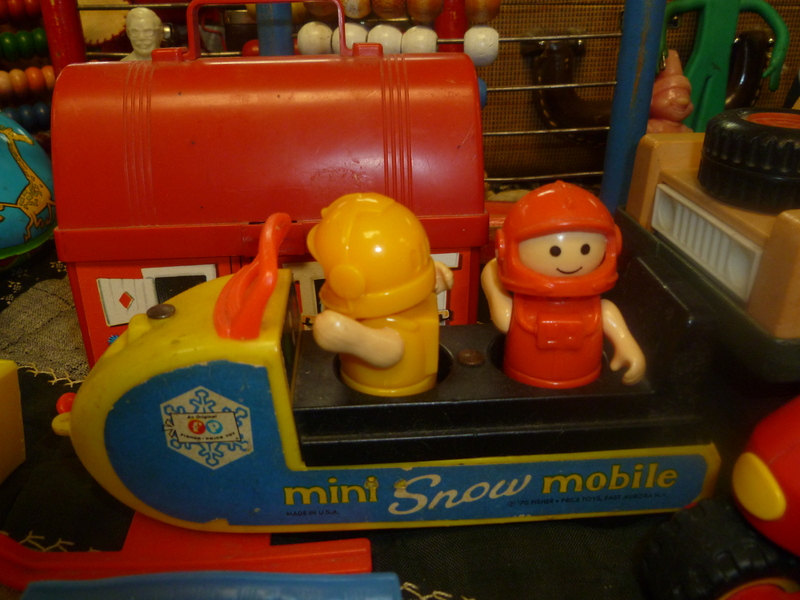 Other exhibits included heritage tools, steam engines, model trains, Queen Elizabeth Coronation, First Nations, toys including a collection of riding toys, Warhammer Collectables and He-man Toys. This was, for me, a wonderful way to spend a snowy late-April afternoon. 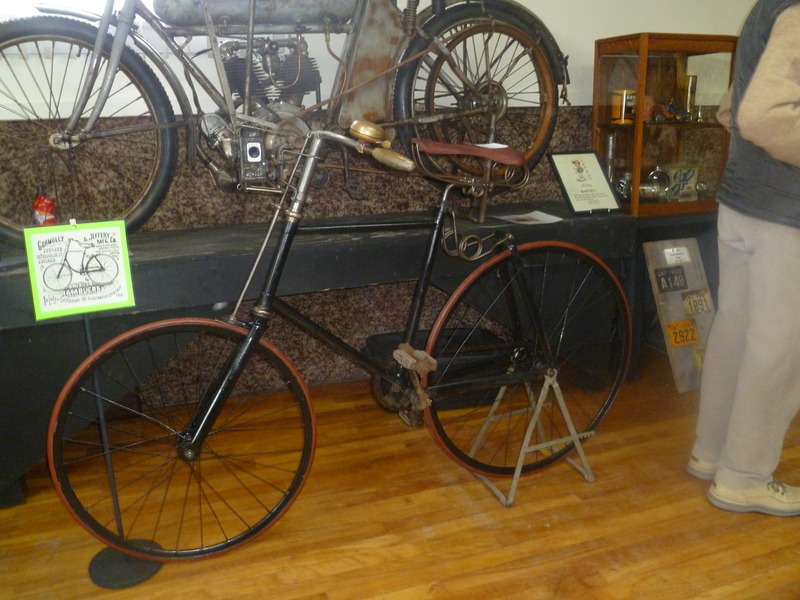 An 1865 Gormully & Jeffery Company Rambler from the Carl Burgwart Collection, owned by Rick Wolfe of Primative Cycles, Komoka. 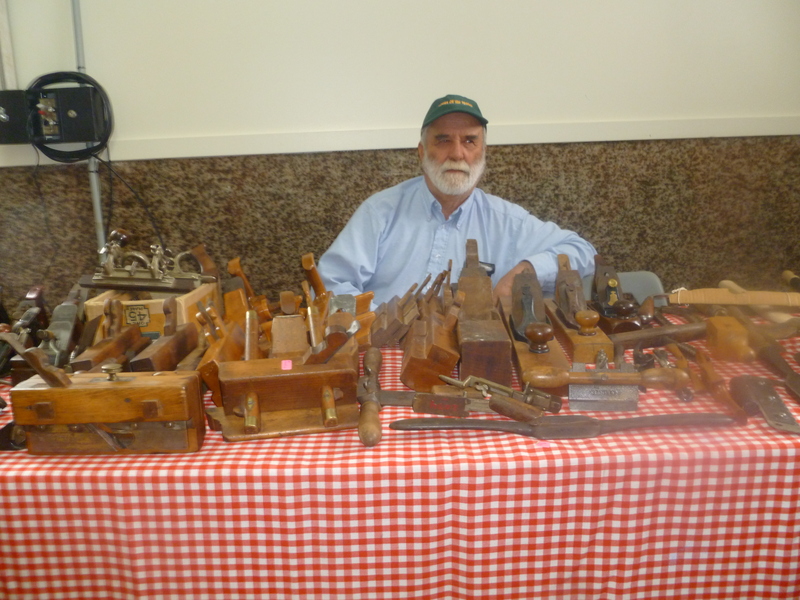 James Axtmann of Walton shares his personal collection of antique carpenter tools. 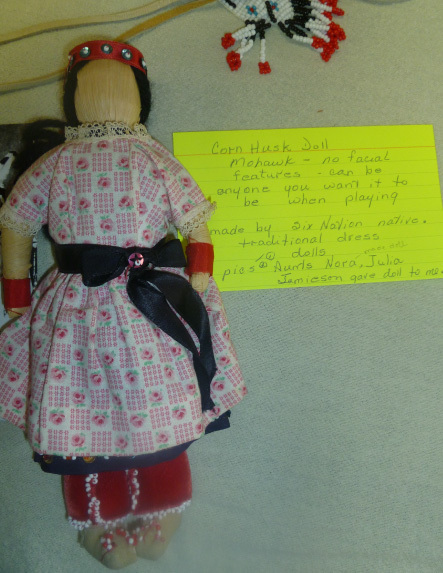 Mohawk Corn Husk Doll – made by a Six Nations native. Notice there are no facial features – can be anyone you want it to be when playing. 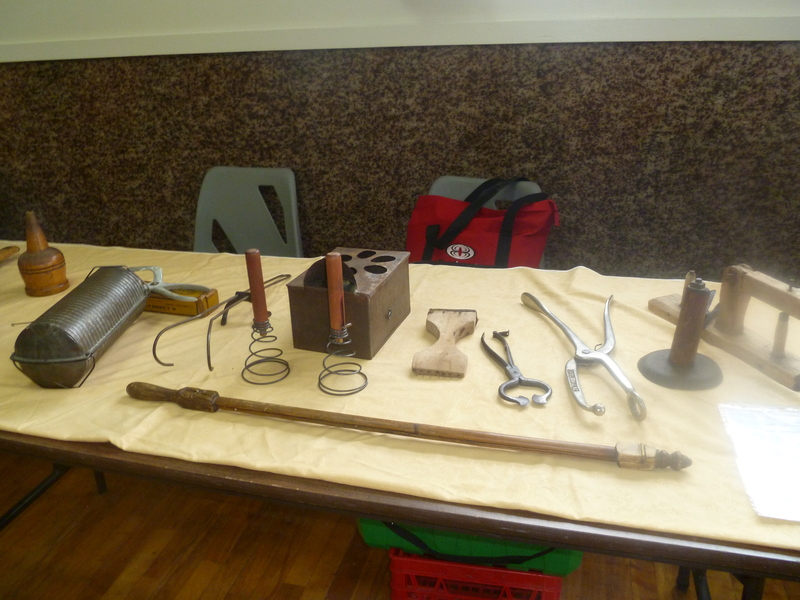 The Schneiders of Auburn showed a collection of antique tools – some of which were rather brutal looking (especially the poultry killer). 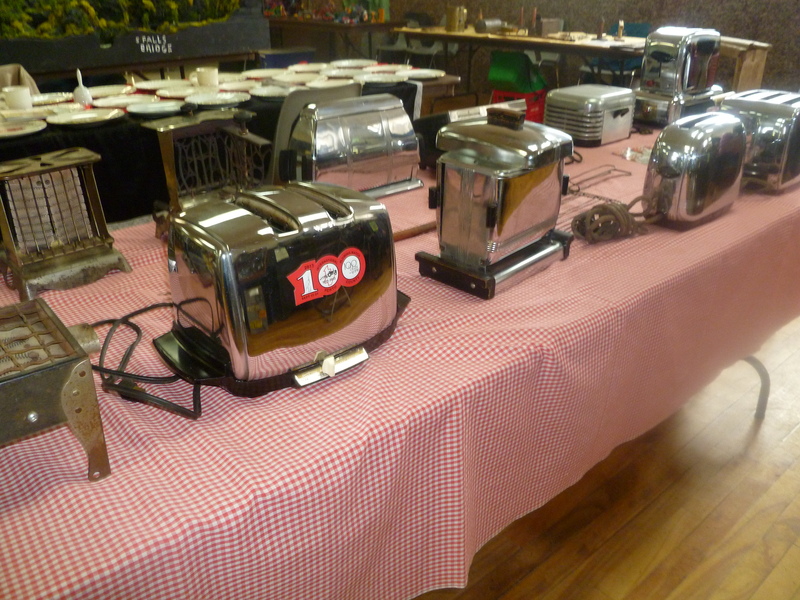 Toasters of all shapes and sizes. all types of lights displayed by the Heritage Barn Museum of Kirkton. Carla Elliott Fisher, of Clinton, has a unique toy collection that brought back many fond memories for me. Remember these?